9ct Gold Claddagh Wedding Band with Celtic Knot design. Irish jeweller interpretate the concept Claddagh faithfully and constantly looks for ways to further enhance th…e elegance and modernity. 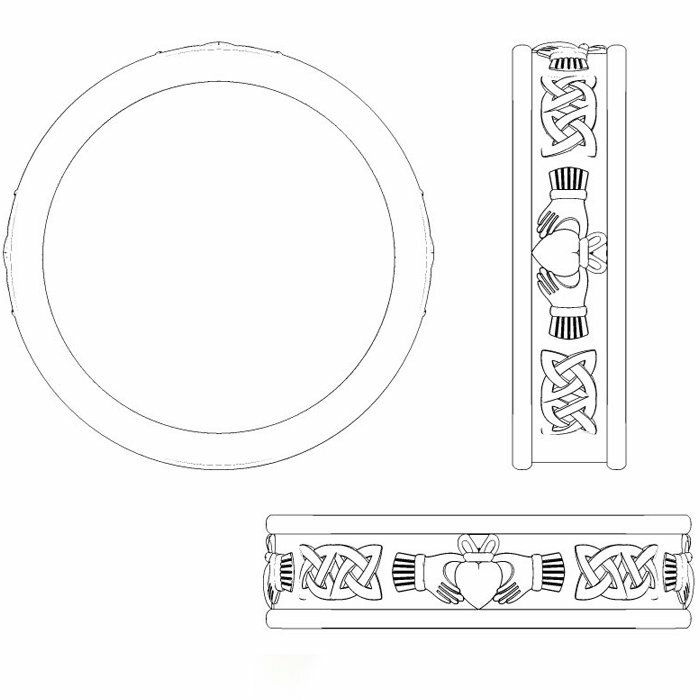 One piece of traditional Irish Jewelry is the Claddagh Ring made by Irish Jeweler in Ireland. This Claddagh Wedding Band is one of the most beautiful pieces of Irish jewelry available. This Claddagh Wedding Ring symbolizes what the Irish… believe in love, friendship, and loyalty. 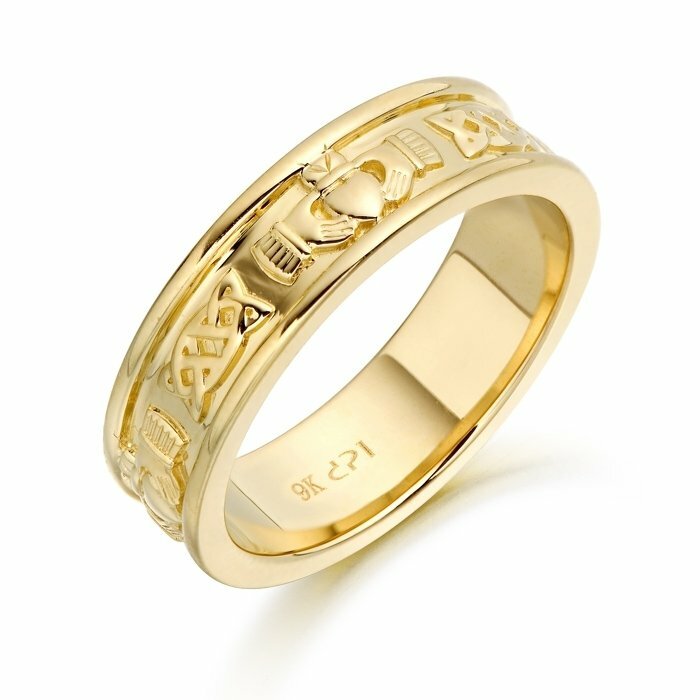 This elegant Claddagh Wedding Ring is made of 9K Gold presents the claddagh image of love, friendship and loyalty seen in the symbol as the heart, hands and crown all the way around the Band.